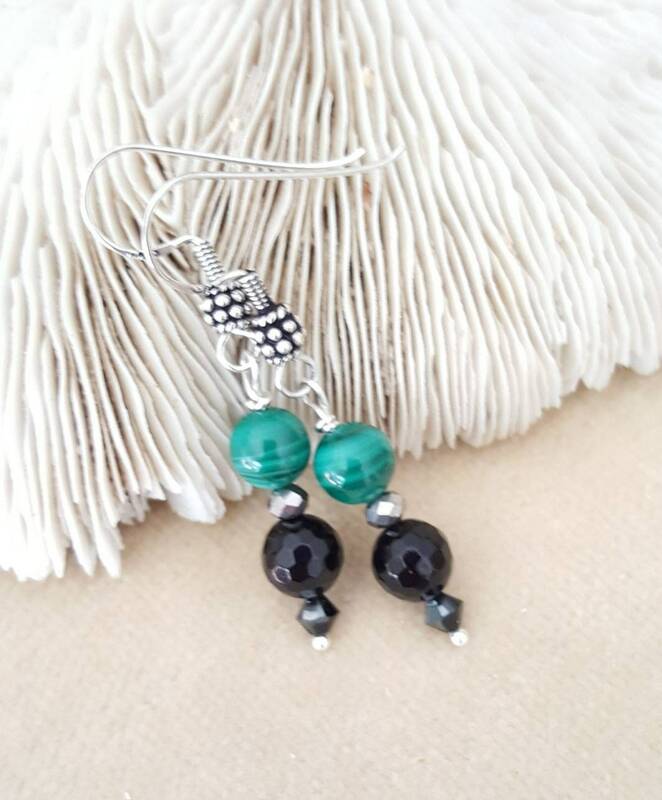 Malachite & Black Onyx Dangle Earrings! 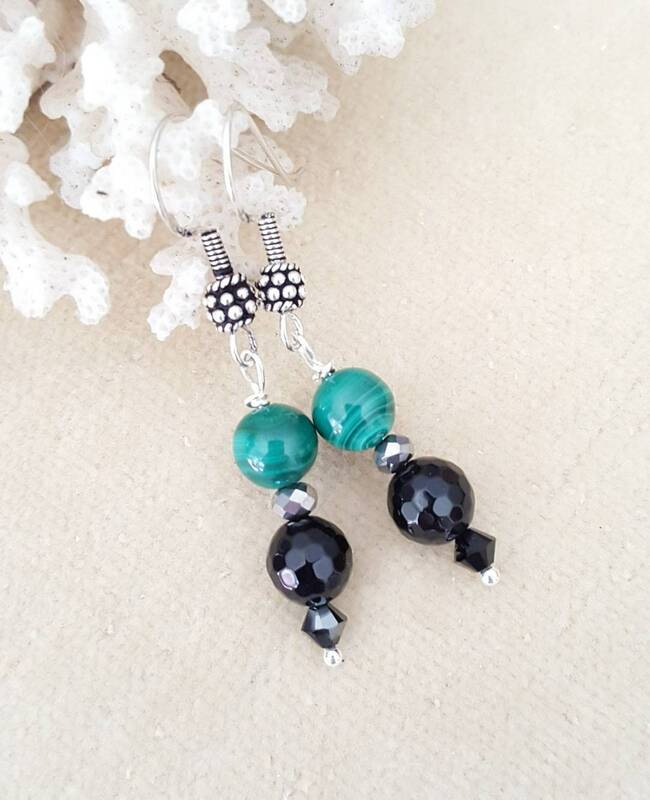 Handcrafted with Sterling Silver, sparkling silvery crystals, and black Swarovski crystals! 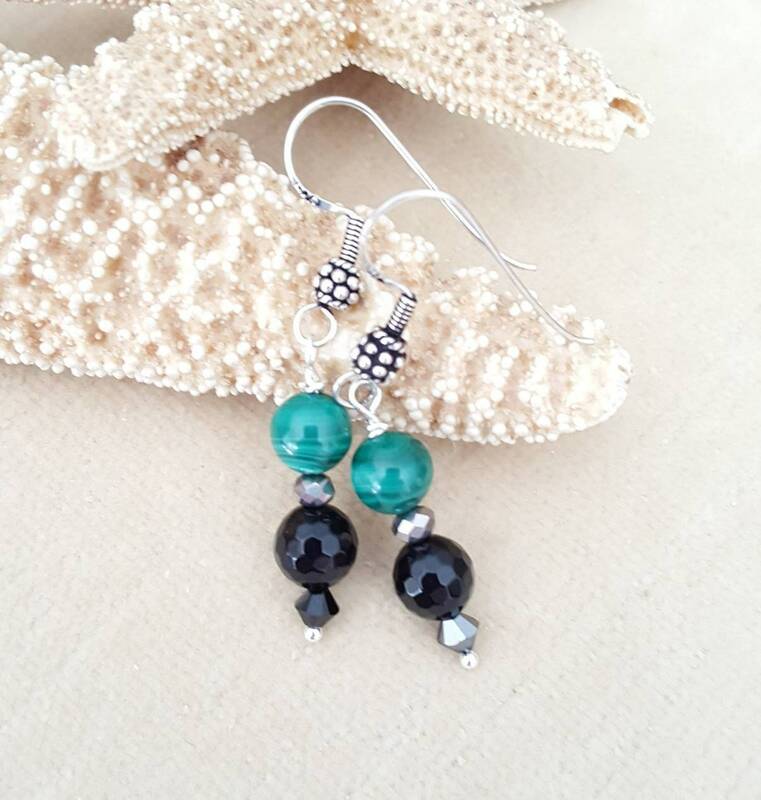 Malachite & Black Onyx Drop Earrings! 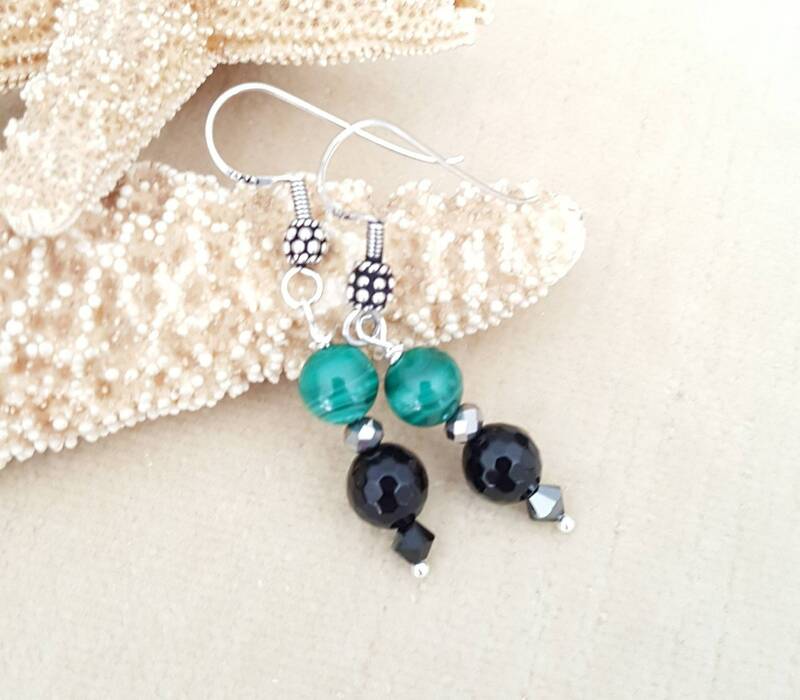 Handcrafted with Sterling Silver, sparkling silvery crystals, and black Swarovski crystals! 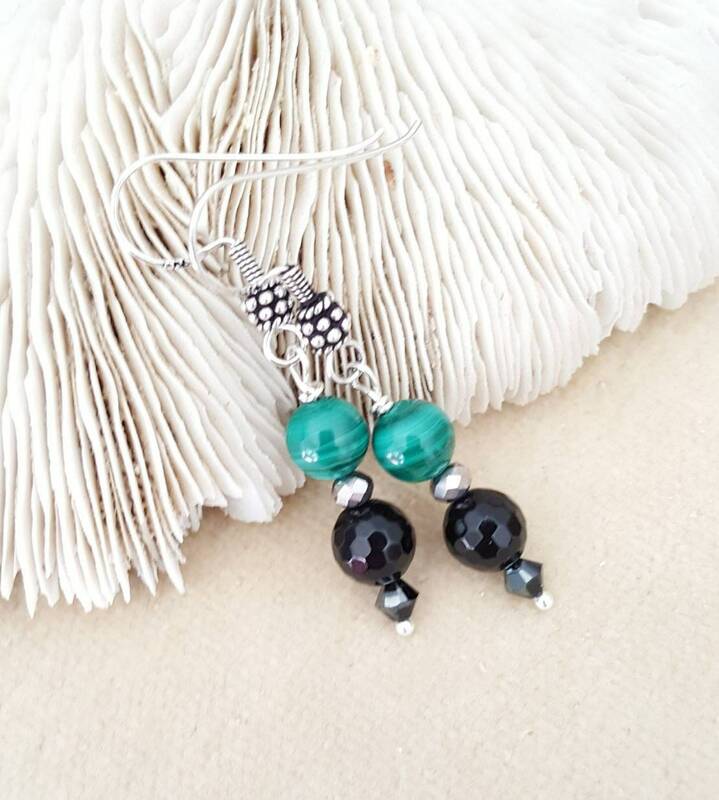 These beautiful dangles measure approximately 2 inches long from the top of the arch of the hook. 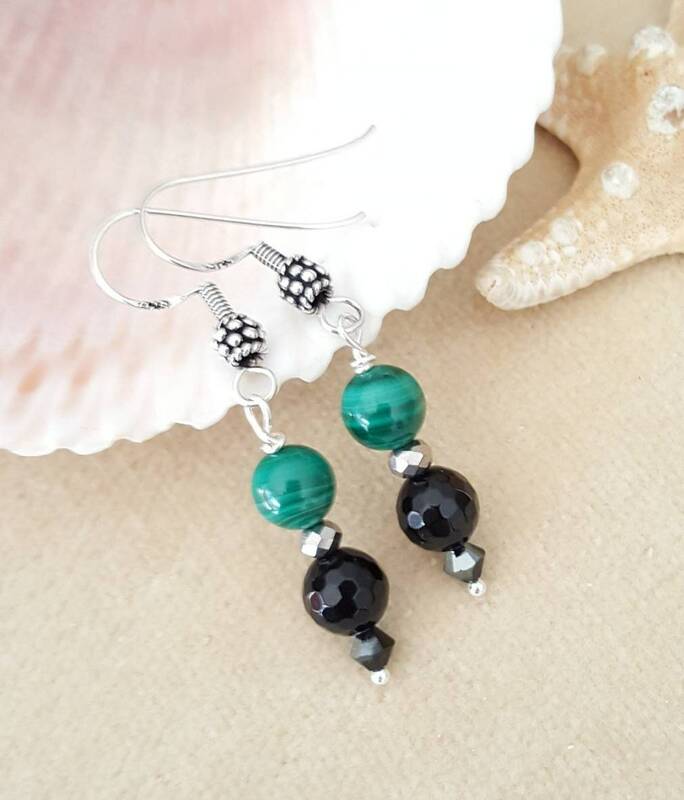 Malachite is considered to be a protection stone. 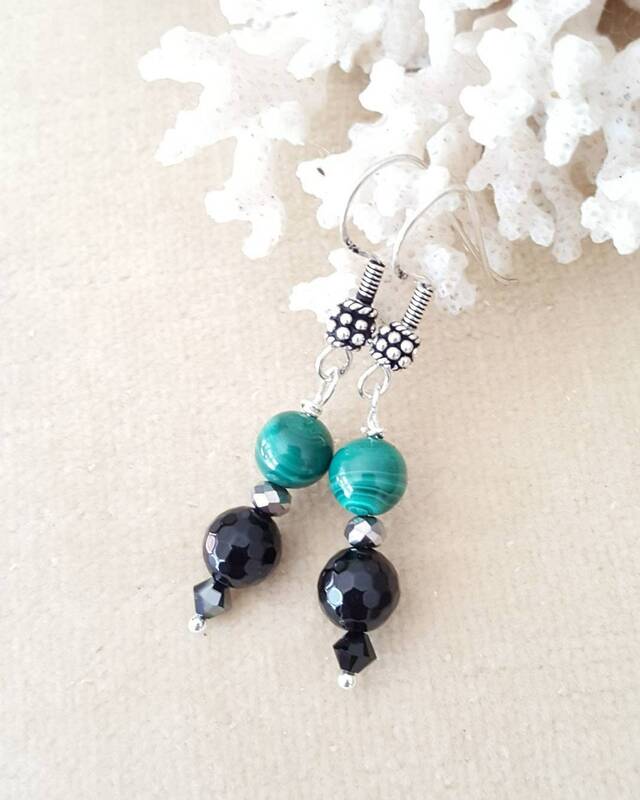 Some people believe that malachite absorbs negative energy. Some also claim that it relieves anxiety, depression, and shyness. Black Onyx is used to celebrate the 7th wedding anniversary. Some people believe that wearing Black Onyx increases strength and vigor. Some also claim that it helps to relieve grief. 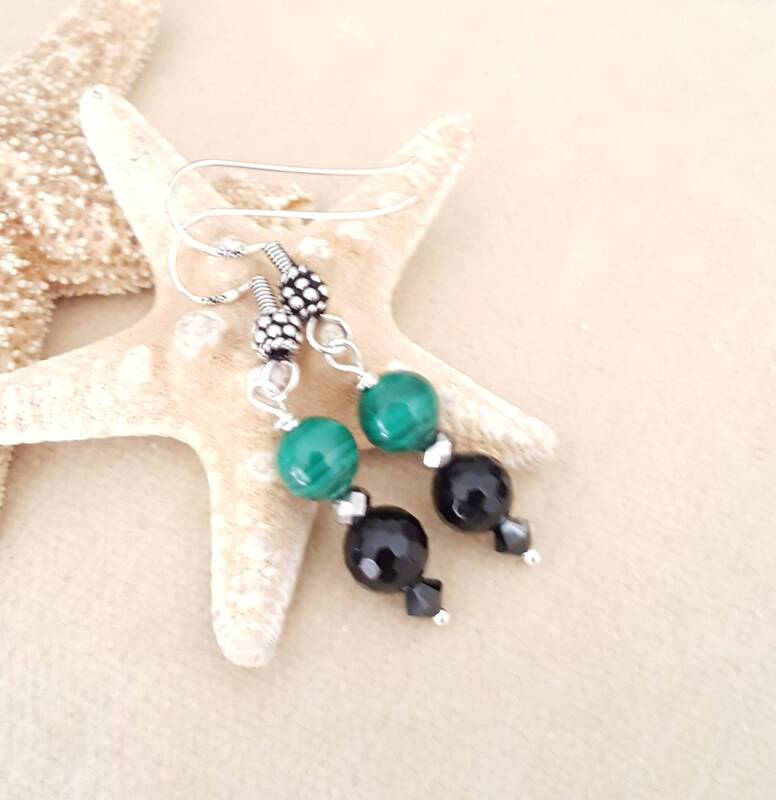 Like my Facebook Page, Baubles and Bling by Beth, to see new pieces as released, and to be notified of any coupon codes being offered!